Guided Imagery and Meditation: Do They Provide Help for Child Anxiety? Leaving the daily chaos in the dust and traveling to the perfect place doesn’t necessarily involve plane tickets. 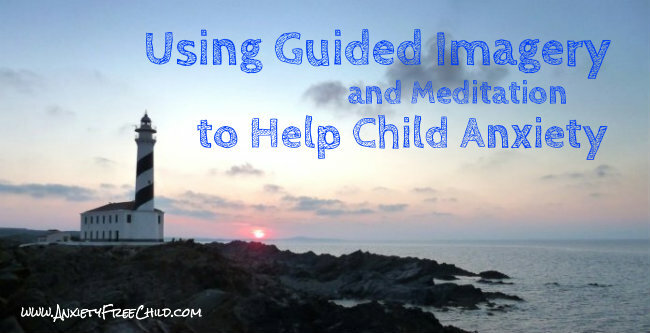 All you and your anxious child need is meditation-based guided imagery. Not only does guided imagery, or GI, take you far away from the cacophony of daily life, it can take you just as far away from the worries in your brain while offering a host of benefits, especially for the anxious child. One of the top benefits is leaving your anxiety in the dust right along with the daily chaos. Guided imagery is a simple and highly effective relaxation technique that prompts you to imagine meaningful images to help achieve a particular goal, which may be as straightforward as alleviating anxiety and stress. It can work on any age group and requires neither special training nor loads of time and effort. All you need is your imagination. The “guided” part of the equation typically comes from an audio recording you turn on as you and your anxious child tune in and let your imagination follow wherever the recording takes you. Anxious kids may especially enjoy GI since it gives their imagination full reign and, well, it’s fun. How it not be fun to leave anxiety and the daily grind behind while taking an imaginary jaunt that soothes the brain, body and soul? The script typically contains soothing music or sounds and its images can range from soothing ocean scenes to cozy couches, depending on the script and the overall goal you want to achieve. Guided imagery can take you up staircases into the clouds, down staircases and back to reality, or on a wonderful, winding walk that takes you far from your daily worries and woes. The goal is to take you a place where you and your anxious child feel safe, secure and serene. Relaxation and induction. 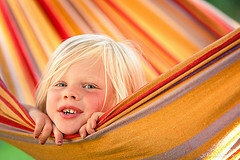 The first two stages are aimed at getting anxious children to relax. Main imagery experience. The middle stage of the process uses imagery related to the particular goal of the exercise. If the goal is to provide a sense of calm, for instance, you can use calming images of the beach or warm bed. Return and processing. The final two stages focus on bringing the anxious children back to their waking consciousness and remembering the process. You don’t need a brand new script every time, either. 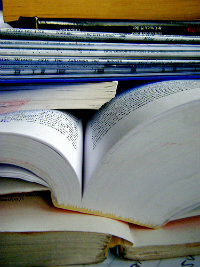 “Although there is no limit to the kind and variety of guided imagery scripts,” Reznick says, “the same imaginary journey can be taken over and over again each time with a fresh and new approach.” She says parents can create their own scripts for their anxious children, provided they keep the child’s needs and comfort levels in mind. A guided imagery session can last anywhere from a few minutes to an hour or more, although anxious kids and younger children may do best with a stint that lasts about 3 to 5 minutes, at least for starters. We also provide a selection of guided imagery sessions specifically created for children struggling with anxiety and fear as part of the program we offer here. What is Meditation and Where Does it Fit with Guided Imagery? Meditation is also a relaxation technique but, instead of following a guide of sorts, you instead focus on your breath, a rock, or whatever you choose. Our mindfulness guide offers a more extended explanation of meditation, and you could look at guided imagery for kids or adults as a type of meditation, or being meditation-based. It also technically falls under the category of mind-body relaxation techniques and can be viewed as a form of cognitive behavioral therapy (CBT). Both meditation and guided imagery can help alleviate stress and anxiety, although imagery takes some of the challenge of trying to quiet the mind by giving you something to think about. This is especially helpful for anxious children who may find their minds wandering to their last spelling test, their next math test or any number of other items screaming for their attention. Instead of telling kids to “clear their minds,” their minds instantly become focused on the guide. Guided imagery gets another plug for being able to skip over the logical brain’s natural defenses and go right the intuitive part of the brain, allowing kids to speak from their hearts. In addition to beating adult and child anxiety, guided imagery has been helpful for quelling fears, getting through difficult situations and quashing insomnia. It can help kick out stress in general or stress related to work, school, relationships or other issues. It’s also helped people lose weight, quit smoking, prepare for surgery or medical procedures. Anxious children with learning disabilities can benefit from imagery, as can adults and teens suffering from addictions. Anger management, depression, heart disease and post-traumatic stress are other ways to utilize the technique uses and it’s even been shown to be helpful for people with cancer. Researchers have definitely hopped on the guided imagery bandwagon, presenting a slew of studies that suggest it can be golden for a number of issues and conditions. A study out of University of Massachusetts Medical School’s Department of Medicine checked out the affect of guided imagery on 22 people diagnosed with generalized anxiety disorder (GAD) or panic disorder. Researchers found 20 of the 22 experienced a reduction in panic symptoms as well as a decrease in anxiety and depression. Clinical Psychology Review published a study that pointed to GI and other relaxation techniques as being the most effective form of CBT for alleviating panic disorders, generalized anxiety, test anxiety and even dental phobia. Children’s abdominal pain took a hike with guided imagery in a study entitled published in Pediatrics. The study specific looked at 34 children diagnosed with functional abdominal pain, assigning a group of the 6 to 15-year-olds to two months of home-based guided imagery on top of their regular medical care. The conclusion was that imagery coupled with medical care was “superior to standard medical care only for the treatment of abdominal pain, and treatment effects were sustained over a long period.” The GI group also had a higher rate of participation in their overall treatment plans than those who received medical care alone. Studies involving cancer patients found that, while GI did not necessarily consistently decrease the size of tumors, it dramatically improved mental health and brought a host of other benefits. The Huffington Post reports patients who engaged in guided imagery generally had shorter hospital stays, a decreased need for pain medication and less severe somatic symptoms, such as vomiting. Cancer patient studies included one out of Virginia that showed that imagery reduced anxiety prior to operations and reduced pain after them. A study out of Korea examined GI’s effect on chemotherapy patients, finding those who engaged in GI were less depressed, anxious and irritable and had fewer episodes of nausea and vomiting than patients who did not use the technique. As an added bonus, the GI participants reporting having a better quality of life than the non-GI group a full six months after their experience. Studies with similar findings as the Korean report came out of Florida, Ohio and Great Britain. Six months may be a notable amount of time to continue to reap the benefits of imagery after the experience, but four separate studies found the benefits can extend up to a full six years. The long-term follow-up studies included three published in the Journal of Consulting and Clinical Psychology and one published in Cognitive Behavioural Therapy. Numerous studies also showed guided imagery results in psychological and physiological changes in the body. One example published in the journal Aviation, Space and Environmental Medicine involved centrifuge training, a method of enhancing hypergravity training for cosmonauts and pilots. The study randomly assigned each of 12 men to either a GI group or a music group then measured changes in their heart rates during the centrifuge training as well as their relaxation and anxiety levels before GI or music, after GI or music and after centrifuge training. The conclusion? “GI was capable of decreasing tension, anxiety, and sympathetic nervous system activity pre- or post-centrifugation.” If it can work after playing around in a centrifuge, you can probably bet guided imagery can work for you and your anxious child. Starting a guided imagery session doesn’t have to be elaborate or difficult. Trying a bit of imagery on your own before passing it along to your anxious child is a good idea, as is explaining the purpose and process of guided imagery. Using Reznick’s five-stage model as your framework, you can create a personalized script for your anxious child or otherwise lead them with your voice. You can also use prerecorded audio scripts, such as the one we created below for free. Before you hit that play button or begin your narration, make sure you set the stage for a peaceful, quiet, uninterrupted session. This means shutting off your cell phone and other distractions and finding a comfortable area for you and your anxious child to sit. Putting soft, soothing music on in the background can also help, as long as your voice is still audible over the music. Relaxation and induction. Tell your child to sit quietly while trying to quiet his mind and relax. Try a bit of belly breathing, which involves deep breathing into the belly rather than shallow breathing into the lungs. You can learn a lot about how to use breathing exercises with your child here. Deepen your anxious child’s relaxation by having him close his eyes and imagine a soft white light hovering above his head. The light gently begins to cascade over the top of his head then down through every part of his body and out his toes. Main imagery experience. Here is where your work as a guide begins. After talking your anxious child into a relaxed state, have him imagine his perfect place. It is off in the distance and he is going to slowly walk there. Along the way, have him meet people who love him and animals he adores. All of them talk to him, telling him to keep moving toward the perfect place he’s imagined where he will be enveloped with a soothing rainbow light in his favorite colors. Once he’s at the place, have your child feel the rainbow light warm every part of his body and fill him with a warm, loving glow. Have him put all his anxiety and worries in a big basket at his special place where they will stay and be processed into happy thoughts. Return and processing: Once your anxious child has deposited his anxious thoughts at his favorite place and enjoyed the warm glow, talk him back along the path back to his waking state. He can meet the same people and animals along the way, giving each of them a hug as he returns to the room where you started. Once he’s back in the room, have him open his eyes and look around. Encourage him to discuss his experience, or have paper and a pen or pencil on hand so he can write about or draw images of what he just felt, saw, heard and otherwise experienced in his perfect place. Encourage him to recall those feelings at any time throughout his day when he’s feeling anxious, fearful or stressed for an instant sense of calm.